Cast: Robert Gustafsson, Georg Nikoloff, Cory Peterson, Kerry Shale, Alan Ford. 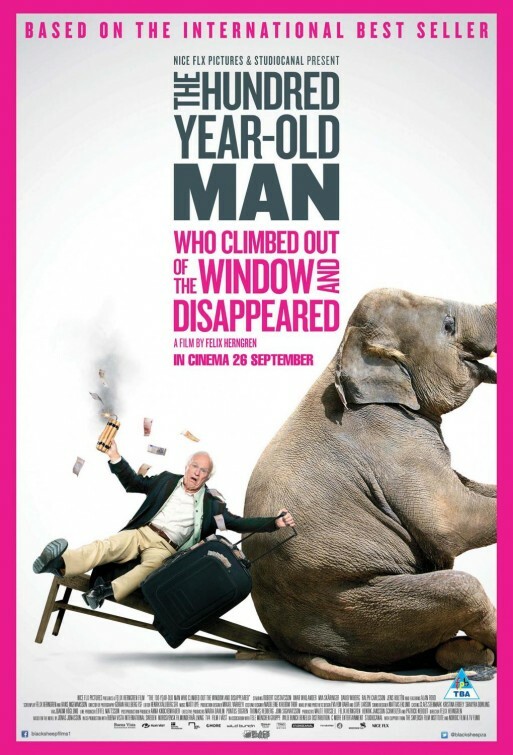 Definitely one of the highlights of DIFF 2014 http://www.durbanfilmfest.co.za/ was the film adaptation of the Swedish novel, The Hundred Year Old Man who Climbed out the Window and Disappeared. A hugely entertaining and entirely Scandinavian tale about a pyromaniac pensioner Alan Karlsson delightfully played by Robert Gustafsson who after blowing up a foxhole near his home in rural Sweden, is untimely placed in a seemingly secure retirement village. On his hundredth birthday, Alan decides that this confinement is for the birds and literally climbs out the window and misses his hundredth birthday party. So begins a marvellous adventure in which Alan gets mistakenly mixed up with a gang of Neo-Nazi criminals, an elephant, an undecided student and a mischievous train station manager who are all after a suitcase filled with loads of cash. Based on the internationally bestselling novel by Jonas Jonasson The 100 Year Old man is a delightful subtitled film as the audience follows the sweet natured Alan who whilst going on his escapades also reminisces about his life as an explosives expert, who happens to quite literally cross paths with some of the 20th century’s most ruthless dictators including Spain’s General Franco and Russia’s Stalin. Through espionage and countless subterfuge, Alan also becomes involved with the Manhattan project about the building of the nuclear bomb by the Americans, gets drunk with President Franklin D. Roosevelt and even receives an invitation to the Atomic Energy Commission by the Swedish prime minister. The 100 Year Old Man is truly a cinematic gem and a clever statement and parody on Sweden’s apparent neutrality throughout some of the last centuries most brutal, menacing and socially disruptive geo-political conflicts including the Spanish Civil War, World War II, the Cold War and even the 1968 counter-culture youth rebellion in Paris. This is recommended viewing and whilst some of the jokes would miss an English speaking audience, the 100 Year Old Man is a definite must see and certainly totally different to the dark Swedish thriller trilogy starting with The Girl with the Dragon Tattoo. The 100 Year Old Man is a charming, hilarious and poignant journey through a century by a naïve likable character who keeps things simple by blowing things up or dancing with dictators. A must see Swedish comedy featuring lovable characters with a clever script and a highly amusing plot.